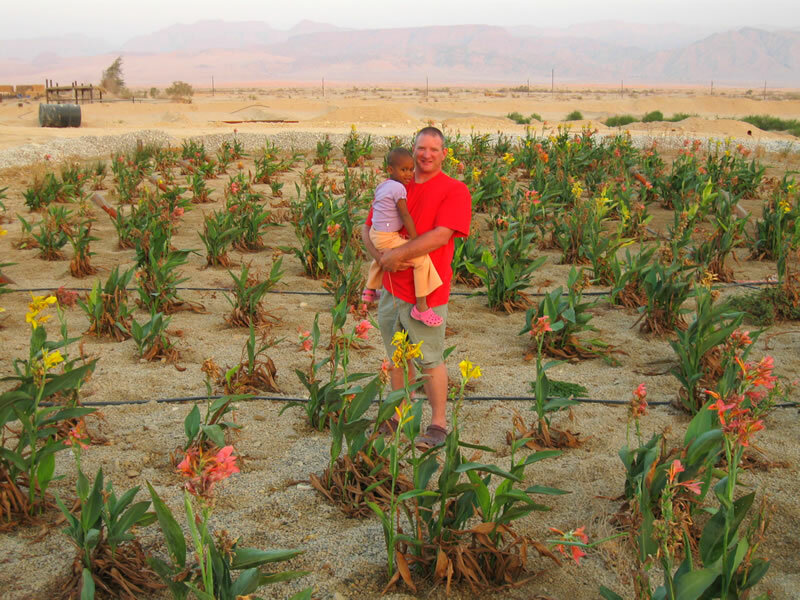 The Kibbutz Lotan Center for Creative Ecology (CFcE) is one of the many arms of Kibbutz Lotan, a member-based organization in Arava Valley, Israel, founded in 1997. The organization is dedicated to the ideals of Reform Zionist Jewish principles to promote community rebuilding, economic development, ecology and equality. The Lotan’s Center for Creative Ecology in particular, helps spread permaculture solutions in economic and community development efforts. Each project is part of Lotan’s mission to adapt creative strategies for living in harmony with the environment. To date, Kibbutz Lotan has already successfully built a bird park, recycling station, and a bird reserve, among other eco-projects. They also offer apprenticeship, alternative building and ecology courses for those who are interested in learning formal Ecology principles. The Greening Project is an alternative building project of Kibbutz Lotan’s Center for Creative Ecology for the construction of “Noah’s Ark Playground”, Lotan Bird Reserve hide and classroom as well as the apprenticeship campus. The Center is also looking forward to building a solar panel system and a library/classroom. As part of their educational initiative, the Center is currently pushing for straw bale/earth plaster construction methods to be used in general Israeli construction. Additional work is also needed to produce more Arabic/Hebrew sustainable technology educational materials. The Center has many green building initiatives to adapt sustainable materials in desert conditions. Examples of these are: the Straw Building construction project, the “Tires and Trash” playground composed of recycled materials and a recycling station. As part of migratory bird preservation efforts in the area, the Center has also built a bird reserve for Eilat wildlife. The reserve is home to many insects, birds and reptiles. It is surrounded with alfalfa fields, trees and a small pond. The Lotan community has reduced its waste production by as much as 70% annually with effective recycling/composting methods. Food, paper, plastic and other recyclable items are processed at the Collection center. It reaffirms the community’s commitment to environmental protection and using creative ecology in everyday life. The wetlands were constructed as part of the bird reserve to serve as a more effective solution to sewage disposal in Arava Valley. It’s a combination of patented “flow systems”, ponds and plants to filter wastewater and recycle it for reuse in the bird park. Initially, the Center started with a small organic gardening project to provide for the Lotan community. It is where the principle concepts of sustainable living started. The project became a demonstration of organic planting, efficient resource consumption and other “green” initiatives. Donors as well as Volunteers are needed to help provide funding and additional labor for the Center’s many projects. You can also assist with fundraising activities by enrolling in Green Apprenticeship (GA) accredited courses. Click here for more information.